Helping to improve the fortunes of Aboriginal Canadians has proven to be remarkably difficult. 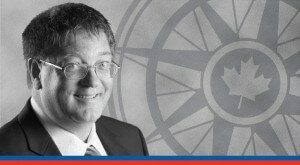 Ken Coates, writing in Inside Policy, offers five concrete proposals the next government can adopt that will make a lasting impact on Aboriginal Canada. 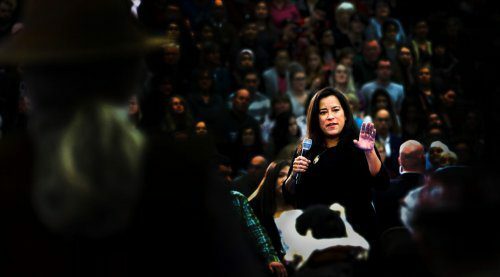 For the past 40 years, Aboriginal issues have been discussed at election time, but election promises have been honoured far more in the breach than in the observance once the ballots were counted. After decades of commissions, discussions and negotiations, Canadian skies are still cloudy, with a significant prospect for future storms in relations with First Nations, Métis and Inuit peoples. What’s different now is that Aboriginal peoples have gained significant power, particularly over resource development, thanks to victories in the courts such as the 2014 Tsilhqot’in decision on Aboriginal title, and developing law on the constitutional duty to consult and accommodate Aboriginal communities. The next federal government has an opportunity to make significant progress on improving the lives of Aboriginal peoples. But unrealistic promises, such as the opposition leaders’ pledges to adopt all 94 recommendations of the report of the Truth and Reconciliation Commission (not budgeted or fully costed but likely in the tens of billions of dollars), are not the answer. Nor is the federal government’s stubborn refusal to acknowledge the TRC’s report, or the crisis in missing and murdered Aboriginal women, or the Idle No More movement. Aboriginal peoples must also expect more of their own leaders and should expect real results. In short, there is a great opportunity to work together to adopt practical, targeted policies that could make a real difference. Strong partnerships are forged based on mutual interest and need. For generations, the scales have been tipped against Aboriginal communities, with the colonial/federal government holding the power and generally treating Indigenous peoples as charity cases. That scale has tipped quite far the other way, but having influence over resource development is not enough to pay for schools, health care, cultural programs or social initiatives. That influence must be converted into economic activity and opportunities that are appropriately shared with Aboriginal communities. Partnerships require real contributions from all sides. Under National Chief Perry Bellegarde, the Assembly of First Nations has made it clear that it will defend Aboriginal and treaty rights and that it expects a lot from Canadian governments. Chief Bellegarde is also a pragmatist who knows full well the importance of delivering real results for Indigenous peoples. So, any meaningful agenda for sustained change requires Aboriginal engagement and compromise on all sides. If the Government of Canada has an obligation not to offend Aboriginal people gratuitously – and it does – First Nations too might wish to consider tempering their approach to whatever government emerges after Oct. 19 by focusing on the broader picture and not making every issue a make-or-break deal. Hard as it is, particularly when facing such disturbing socio-economic realities and cultural loss, it is essential that Aboriginal leaders approach the Government of Canada with a focus on precise and deliverable outcomes. We should acknowledge what has been done. Even though the Harper administration has been severely criticized by Aboriginal leaders and their supporters - Idle No More seemed to many observers to be sharply focused on Stephen Harper himself - the Conservatives have actually made substantial financial commitments and policy initiatives on Indigenous affairs. They did, after all, sign the United Nations Declaration on the Rights of Indigenous Peoples, albeit later than most, improved the specific claims resolution process, funded the Truth and Reconciliation Commission, committed to a major expansion in educational funding, and made the territorial North a singular preoccupation of the government. And for this they have been vilified by Aboriginal peoples, opposition politicians and advocates. Suffice it to say that no party will find this policy file to be easy. But the country needs a new Aboriginal agenda created in partnership with Indigenous organizations, a specific priority list that is properly funded, administratively streamlined, and widely supported by political parties in Parliament and across the provinces and territories. Where do we start? Rather than the TRC’s 94 recommendations, or some other similarly daunting number, let’s start with the five ideas identified below that, in my estimation, would make a significant and lasting impact on the life opportunities for Aboriginal peoples and communities in Canada. Establish national service standards For Aboriginal communities: By almost any standard, from fire protection to housing, education to health care, First Nations and Inuit communities do not have the same level of government services available to most other Canadians. (There is a related issue, still before the courts, about the level of services to be provided to Métis and non-status Aboriginal communities.) Certainly, in a country as wealthy as Canada, the nation can make a simple declaration: the service standards for Aboriginal communities will be at or above the standards established for non-Aboriginal communities. This declaration would require provincial and territorial buy-in, as well as a firm federal commitment. But it is unacceptable that Aboriginal communities would have to accept lower quality water supplies, poorer fire protection, mediocre roads, and the like. To move this idea along, the Government of Canada and Aboriginal communities would establish objective and verifiable standards for government services. Secondly, Aboriginal Affairs and Northern Development Canada, and Indigenous communities could complete a comprehensive audit of existing conditions and services. Much of this work has been done, although in some areas, such as children’s social welfare, Aboriginal leaders challenge the commitment and support provided by the Government of Canada. This review must include services provided by and through Aboriginal governments, providing a complete assessment of the current level of government-delivered services. The review should also identify barriers to full Indigenous participation in such opportunities as home ownership. With this review in hand, the Government of Canada, provincial and territorial authorities, and Indigenous governments should prepare a national strategy for closing the gap in service delivery. This strategy must be accompanied by an annual progress report that demonstrates collective accountability. Government cannot do everything for Aboriginal people, any more than they can for other Canadians. It will thus be important not to ignore the responsibilities of individuals and communities for providing their own services and support, where financial resources permit. Canadians have shown in many areas of public policy a willingness to support marginalized and disadvantaged populations. There is, however, a national expectation of self-help attached to this support. This element has rarely been discussed openly and constructively and has not yet been fully factored in to the national debate about the condition of Aboriginal communities. The goal is not to penalize poor and marginalized peoples, but rather to ensure that they are full participants in and contributors to the step-wise improvement of conditions in their communities. Properly fund Aboriginal education, but with increased emphasis on children from birth to five years of age: The Assembly of First Nations has been demanding funding equivalent to that provided to provincial and territorial schools for federally supported reserve schools, an assertion the Government rejects and that is difficult to untangle. It appears, when all is taken into account that funding as approximately the same for First Nations schools, but that does not mean that the support matches demonstrable need. Aboriginal communities need and deserve equitable funding, or support that accounts for the additional costs of isolation, limited scale, and the composition and personal characteristics of the student population. In remote reserve communities, the cost of running an effective school is at least twice what it would be in an urban setting (as it is for non-Aboriginal schools in remote regions, incidentally, a reality that is rarely captured in funding arrangements). But that is only part of the challenge. The reality is that children who arrive at school, in Kindergarten or Grade 1, often come out of traumatic home environments and without adequate nutrition, sleep and personal support. Not surprisingly, they typically struggle from the outset of their education. Without an educational reboot, defined and shaped by local conditions and community realities, most of the aspirations for First Nations in the coming decades will stumble, if not fail. Dealing with such contributing causes of Aboriginal children at risk – poverty, poor housing, poor diet, domestic turmoil and the like – will be extremely difficult. There is a large inter-generational cost, however, of not doing something soon – and something dramatic – for the youth of today. This likely involves day care arrangements, community nutrition programs, pre and post-natal care for expecting mothers and babies, and various other interventions, ideally managed, designed and delivered by the community. Failure to look after children before they go to school reduces educational outcomes and undermines individual prospects and opportunities. It will take a long time to deal with the broad range of social challenges at the community level. Canada needs to do two things: create a comprehensive, community-based support program for Aboriginal children (urban and on-reserve), building on existing community, volunteer and non-profit programming; and develop community and regional strategies for bringing Aboriginal education up to national standards. Even with these initiatives there will be no immediate reversal of fortunes. But with true and sustained commitment (not the traditional one- and two-year programs and short-term and uncertain funding), the direction in Aboriginal education and personal development can be changed dramatically. The last education agreement, struck with former Assembly of First Nations National Chief Shawn Atleo, foundered, among other elements, on differences about the management of Aboriginal schools. The Government of Canada wanted a global agreement; the membership of the AFN wanted arrangements with individual First Nations. The latter is complicated, expensive and difficult to implement. Central control is equally untenable to Aboriginal communities. There is a middle ground, based on regional educational governance, tied to Tribal Councils or other regional administrative systems. To choose one example, the Prince Albert Grand Council represents a dozen First Nations in Saskatchewan. So, individual First Nations would have a greater voice, but the government won’t face the impractical situation of negotiating individual agreements with more than 630 nations. Building economies of administrative scale by region, with Tribal Councils or linguistic/cultural groups, would respect both the Government of Canada’s desire for manageable efficiency and the Indigenous communities’ insistence on effective Aboriginal control of education. Make a grand symbolic gesture, or two: As noted above, the Conservative government of Prime Minister Stephen Harper has made a greater contribution to Aboriginal issues than it generally receives credit for. It needs to be remembered also that the First Nations’ rejection of the government-AFN education deal has, legitimately, made them wary of public commitments Aboriginal issues. But where the government has really fallen short, in Aboriginal eyes, has been in its tepid response to highly emotional events or issues. The slow response to the protest fast by Attawapiskat Chief Theresa Spence and, even more importantly, the neglect of the youth marchers associated with the Idle No More movement, seemed unnecessary. The Prime Minister’s response on the missing and murdered Aboriginal women’s issue marked the government as insensitive. (Indigenous leaders doubt there would have been such apparent indifference if more than 1,000 non-Aboriginal women had gone missing or been murdered.) The absence of an official response to the interim report of the Truth and Reconciliation Commission has also been viewed as a significant slight. The Government of Canada needs to demonstrate that it will at times respond respectfully and quickly to the issues flagged for action by Aboriginal leaders and communities. This is not a blank cheque for Aboriginal leaders to spend government funds, but rather a commitment to listen more intently to First Nations and Inuit authorities and get their input into national priority setting. At other times, the issue is not money but attention. The missing and murdered Aboriginal women’s issue, for example, could have resulted in a summit, led by the Prime Minister, of Aboriginal and other leaders to discuss solutions. Goodwill could also be earned if senior Canadian officials met with their Aboriginal counterparts and agreed to focus on a few immediate and emotional issues. For example, the Government could, in discussion with Aboriginal leaders, agree to a policy-focused dialogue on the Truth and Reconciliation Commission and select one or two of the most urgent recommendations (a national commitment to Aboriginal language retention and training is desperately overdue) for immediate action. Symbols matter. Silence, highly symbolic, is interpreted as showing a lack of respect and a lack of urgency about issues that are enormously important to Aboriginal people. No one realistically expects the Government of Canada to respond instantly and unequivocally to every well-meaning call for action on behalf of Aboriginal peoples. The federal government has other constituents, and in any case, such uncritical reactions suggest a lack of sincerity and engagement. Few Aboriginal leaders believe the Liberals’ and New Democrats’ expansive promises. But a sincere and open discussion with Aboriginal leaders, backed by action and appropriate resources to fund the selected item(s), would show both attention to the issues, respect for Aboriginal opinions, and a collective sense of urgency. Transform the Department of Aboriginal Affairs: Aboriginal Affairs and Northern Development/Indian Affairs has been a national punching bag for decades. While there are problems with the structure, the reality is that the federal department has hundreds of well-meaning, compassionate employees who care deeply about the challenges facing Indigenous peoples and communities. The problem is much less about the people than the assumptions and processes that guide Aboriginal Affairs. More than 100 First Nations have opted out of the Indian Act, meaning that they no longer report to Aboriginal Affairs and Northern Development in the same way, have effective self-government and exercise real autonomy. A comparable number are in the process of applying to leave. While it is too early to say definitively that separation from Aboriginal Affairs is producing better results, the prognosis of communities that have moved out from under the federal government is positive. There is no single schedule or approach that will cover the more than 630 First Nations, but the reality is that the Government of Canada has to remove the intrusive administrative weight of Aboriginal Affairs without abrogating its commitments to Indigenous peoples. 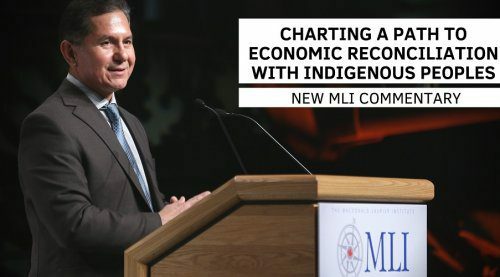 This means, among other things, a shift toward longer-term funding arrangements, encouragement of self-government, public accountability, and governance systems that are based on traditional political structures and Indigenous principles. Most importantly, an effective transition requires the Government of Canada to accept that Aboriginal governments will, when the communities are ready and able, assume much greater control and decision-making authority for the delivery of government programs. Indigenous affairs in Canada are too complex for centralized planning and policy-making. Squamish First Nation (B.C.) is not the same as Six Nations of the Grand River First Nation (Ontario), and certainly much different than Fond du Lac Denesuline Nation (northern Saskatchewan) and the Kluane First Nation (Yukon). Local or region-specific arrangements and approaches are required. At present, Aboriginal Affairs personnel are generally operating within national policy frameworks and strictures that aren’t working for every Aboriginal community. They need greater capacity to innovate together with regional Indigenous groups. Rather than the regular spate of federal announcements – $100 million for this and $50 million for that, with the money distributed in some opaque manner across all First Nations in the country – funding should be by way of a single annual transfer to Aboriginal governments. The resources would carry the expectation that they would cover required services (such as education, fire protection and local infrastructure) and specific initiatives or programs that fill the greatest local need. At present, First Nations receive funding based on per capita eligibility for national programs, community by community allocations for things such as housing, and program funds based on successful grant proposals under various targeted programmes. The processes involved with applying for, administering and reporting on the funds from a wide variety of internal Aboriginal Affairs programs are time-consuming and, ultimately, very controlling. A great deal of time and money would be saved with a central allocation to specific Aboriginal groups, either at the Tribal Council/regional government level (where service efficiencies are the highest) or at the level of the individual First Nation (where local control is the greatest). The current arrangements are a huge drain on the limited human resources in Aboriginal governments and Aboriginal Affairs and Northern Development. Most importantly, they are not producing the desired outcomes. Ultimately, the Government of Canada has to learn to trust Aboriginal governments and has to simplify and streamline its financial and administrative relationships. 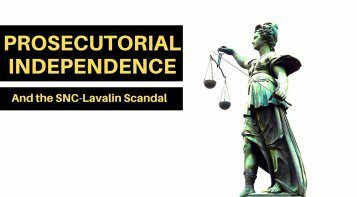 The onus has to shift – as it is doing for Indigenous governments coming out of the Indian Act – to local Aboriginal politicians and administrators. Some Aboriginal governments, it needs to be understood, have clearly fallen short in the effective management of public funds, including a small number of scandalous examples. But there are many successful First Nations governments in Canada, effectively managing businesses, trust funds and local governance matters. The challenge of managing First Nations in financial distress – a process called Third Party Management, which removes the First Nation from direct management of its own funds – is a case in point. These are communities in distress, often with severe capacity issues, and significant management issues. There must be better ways to help First Nations communities recover from a financial meltdown. There is no objective reason why the much-despised processes of Third Party Management needs to be funneled through Aboriginal Affairs (which typically sub-contracts the work to a non-Aboriginal firm). Aboriginal organizations, building on the work of such groups as National Centre for First Nations Governance and the First Nations Financial Management Board, can assume this role, providing more culturally-aware Indigenous support for communities at financial risk or in default. Maintaining the current arrangement, which smacks of old-style colonial governance, pits Aboriginal Affairs against Indigenous governance. It is profoundly disliked by Aboriginal communities, and re-enforces the worst elements and animosities of centralized control. It is time to recast accountability from the ward-like arrangements of the past into structures closer to that experienced in the federal-provincial, federal-territorial and provincial/territorial-municipal relationships. Everyone knows that this is inevitable. Delaying the process is adding to the Aboriginal administrative burden and, equally important, stripping Indigenous governments of the opportunity to learn, develop experience, and exercise the much-desired and much needed autonomy. Seek Clarity in resource and infrastructure development: A combination of land claims agreements, Supreme Court decisions and local-level mobilization have worried industry, Indigenous communities and governments alike about the future of resource and infrastructure development in traditional Aboriginal territories. While the reality is that Aboriginal people have generally been cautiously supportive of such development, high profile protests against the Northern Gateway Pipeline and selected mining ventures have created a growing unease in the country. While the Tshilqot’in Supreme Court decision left the mistaken impression with some people that First Nations had secured an effective veto over resource development, the truth is that most First Nations continue to work with resource and infrastructure companies on matters of joint interest and mutual benefit. The country needs clarity and Aboriginal people must have their treaty, resource and consultation rights respected. The problem in Canada is that the definitions and applicability of Aboriginal legal rights are vague and fluid, at best. For some First Nations, the medium-term prospects focus on additional legal challenges and the inevitable political and commercial uncertainty. Aboriginal victories, while not uniform, have been frequent and occasionally dramatic. There are many who would urge Aboriginal communities to continue to test the legal limits, but it is wrong, in the extreme, to assume that the country’s resource sector is grinding to a halt because of Aboriginal opposition (environmental regulations and international squabbles, as over the Keystone Pipeline, are an equal if not greater barrier to the development of Canadian resources). Canadians, therefore, face a decision between two primary options: ongoing legal battles that will stretch out for decades and have a dampening effect on resource development, or a joint government-Aboriginal effort to identify points of contention and to achieve a higher level of stability in the sector. No First Nation should or would surrender their right to litigate, but properly negotiated framework agreements between the Government and Aboriginal communities would go a long way toward clarifying future relationships. 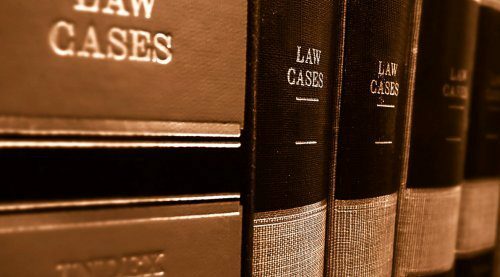 This might involve, in areas of continuing debate, joint submissions to the Court on issues requiring adjudication, undertaken with a view to resolving disputes rather than adding to the points of contention. This may well be done on a regional rather a national basis – the intensity and nature of the issues in northern British Columbia are dramatically different than those in New Brunswick – but the goal would be to provide an established framework for addressing Aboriginal concerns regarding natural resource development. Indigenous peoples have already discovered that approval for resource development, secured through impact and benefit agreements, brings substantial revenue, employment and business opportunities. Legal clarity will be beneficial to Aboriginal and non-Aboriginal Canadians alike. Conclusion: The Government of Canada and Aboriginal agendas come together around these simple points: Aboriginal people need a new, expanded and long-term commitment from Canada to better and more effective policy. Canada needs from Aboriginal people a clarification and simplification of the rules of engagement on natural resource and infrastructure development. 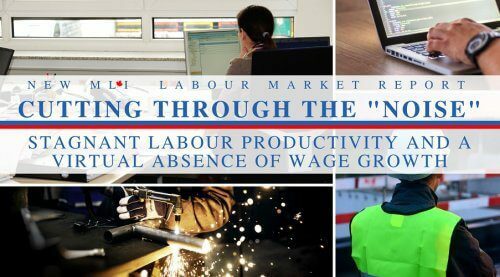 Capitalizing on the country’s resource wealth and having the capacity to build necessary infrastructure without undue delays and conflict is fundamental to Canada’s long-term wealth and economic stability. This, then, is Canada’s first major 21st century challenge. Can the country respect the new power of Aboriginal people and offer real and lasting change in public policy, funding and government-to-government relationships? Can Aboriginal people and governments, in turn, make appropriate agreements with provincial, territorial and national governments to ensure carefully planned and well-managed resource development that produces greater wealth and well being in Canada? 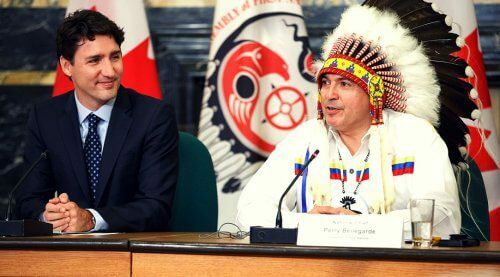 If the answer to both questions is yes, the country and Indigenous peoples have real potential to move forward. No other answer will serve Canadians or Aboriginal people well. Absent Indigenous engagement in resource development, the country will have neither the will nor the funds to respond fully to Indigenous needs and aspirations. Absent a major federal commitment to addressing real and substantial Indigenous needs, there is no reason to expect that this country will be unable to unlock the opportunities – for Aboriginal communities and for all Canadians – in the resource sector. The next Government of Canada, ultimately, has to move – and it has to do so decisively. It can share that choice with Aboriginal peoples and their governments. One only hopes that Canada seizes this opportunity to move beyond historical legacies and today’s frustrations and embrace the prospects for a collaborative, mutually beneficial future. Ken S. Coates is a professor and Canada Research Chair in Regional Innovation at the University of Saskatchewan and a Senior Fellow with the Macdonald-Laurier Institute.